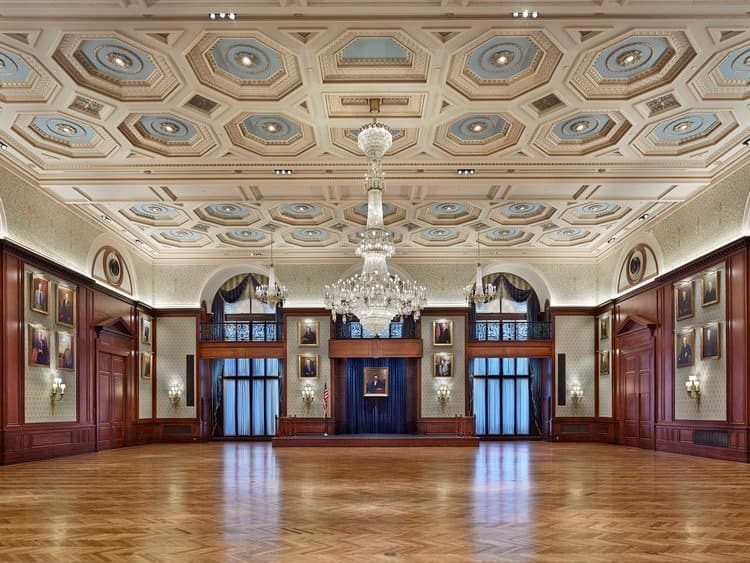 Union League of Philadelphia Restoration | John Canning & Co.
For the restoration of the Lincoln Ballroom at the Union League of Philadelphia, John Canning Co. provided the decorative finishes on the new coffered ceiling. 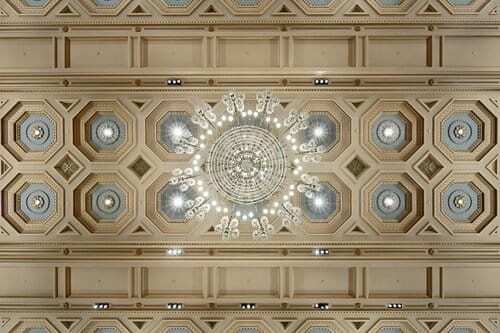 The coffered ceiling was reinstated based on an historic sketch by Trumbauer. Through mock-ups and collaboration, a final color palette was established that was appropriate to the historic period interior.